Portraits can say so much with so little. Portraiture requires a very high level of skill and it's an amazing form of art. Even so, portraits are so personal and intimate that some people can doubt whether it's an appropriate form of art to hang in your home. Let us change your mind and show you how this form of art can be really engaging and will mentally always keep you on your toes. Before photography, a painted portrait was the only way people could represent themselves to friends, family or potential suitors. As a result, the artist had to capture and communicate a lot in one image, such as the status of the sitter, whether they were wealthy, from a powerful family or the subject’s profession. One way to communicate this was through symbols, which could be jewellery, clothes or ‘tools of their trade’, such as a map for a merchant or trader. If you take a look at the images above it is clear that both sitters are wealthy or from successful families. The older lady is wearing gold and pearls and is dressed in a way that we recognise to be the style of mature, affluent people. Again, with the young girl you can see that she is wearing pearls, a traditional symbol of wealth, and her dress is made with a rich fabric, which could be silk. The necklace with the pendant also represents a figure, which communicates that she is not only from a rich family, but also a powerful one. If you want to delve a little deeper then both of these paintings can tell us so much more than what we at first see. For example, why is the little girl wearing those particular earrings, what is she holding in her hand, or why is she wearing that dress? Just as you would look your best for a family photo - you also want to communicate something about you that shows your personality and identifies who you are, and this is no less the case with a portrait. Once photography became popular and mainstream, there was no need to accurately represent a person in a painting, so portraiture became more about capturing the ‘essence’ of the sitter. They say the eyes are the windows to the soul, and capturing that depth is key to a good portrait, which can be shown in a variety of ways. 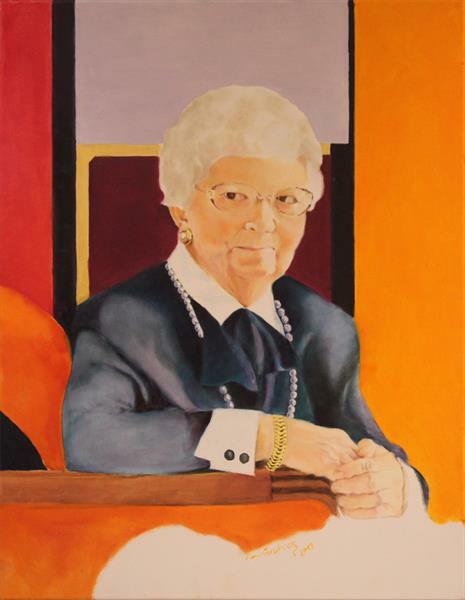 There are some artists that like to merge the present with traditional portraits of the past. 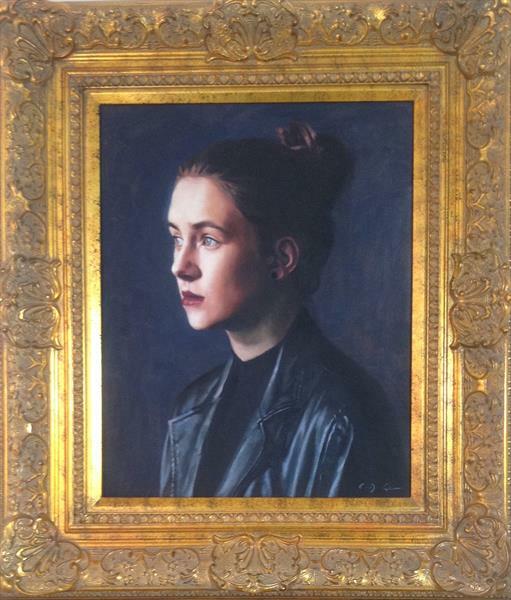 Christopher Gill likes to paint contemporary subjects in the style of a Renaissance-style portrait. By doing this he’s highlighting that there are still similarities and connections between the old and the new. Although the girl in the painting above is in a leather jacket, the painting is framed with traditional gold gilt, typical of a renaissance painting. The fact that the two elements contrast or conflict with each other, also means it has a great effect. It’s this contrasting of styles, and the associated questions they raise, that makes portraits so interesting. The pursuit of the ‘essence’ of the sitter remains as strong as ever today, which is why portraits are now captured in so many styles and subjects. 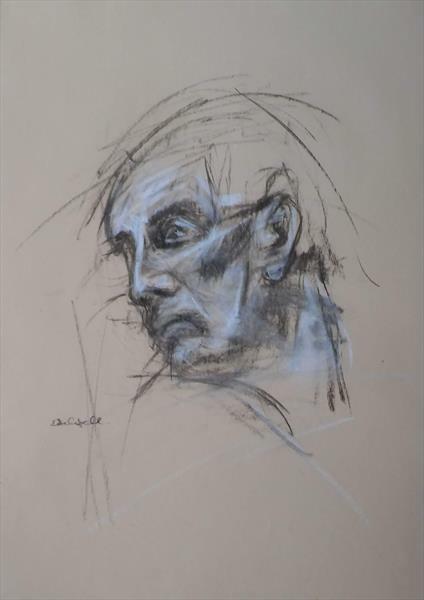 There are some artists that paint abstract portraits in order to catch a mood, and others that use charcoal or pencil to capture the sitter in their ‘rawest’ form. 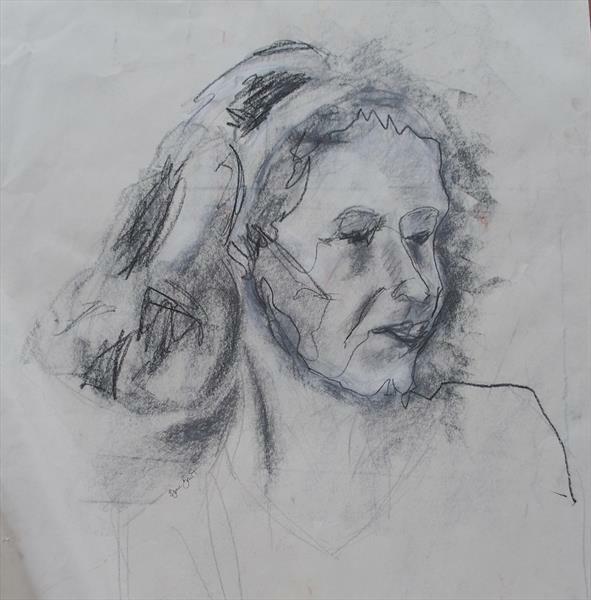 Using the simplest materials for portraits makes them feel more like ‘studies’ or practice drawings for the final portrait, which is a great way of capturing the subject’s personality. This was also a practice used by Leonardo Da Vinci, Raphael and other Renaissance artists in order to make sure they communicated the right pose and message in their final painting. 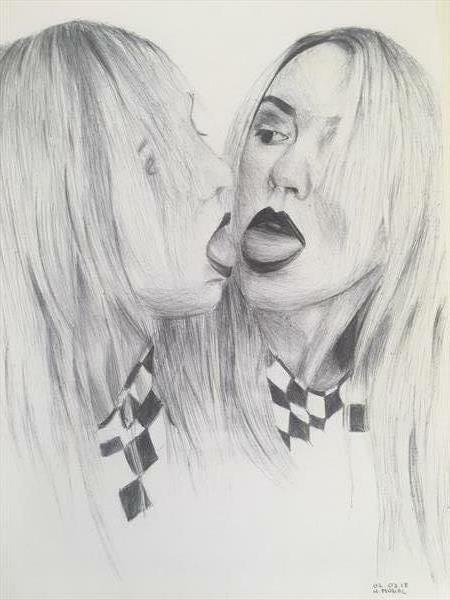 There are many artists doing exciting things with portraiture. 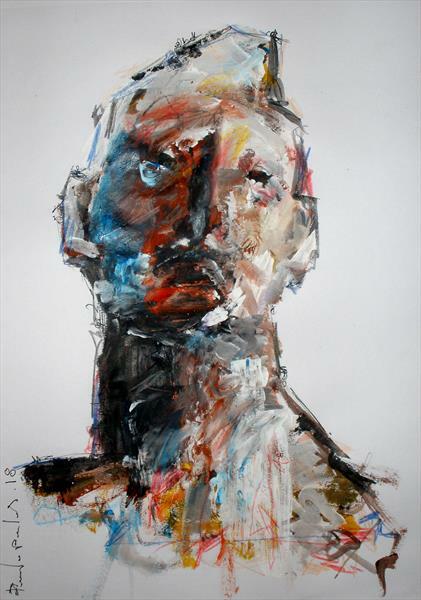 Dimitris Pavlopoulos paints abstract portraits in a primitive style, which are visually very striking and engaging. 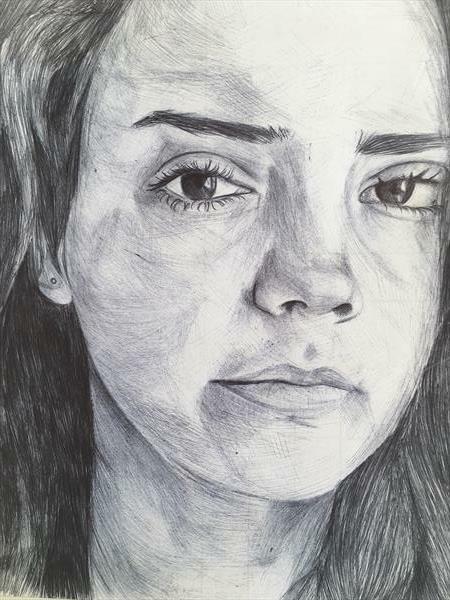 Hannah Musial uses felt pen to create her portraits, which are mainly of women captured in a moment or pose. They really make you think about what the subject is doing or thinking to great effect. 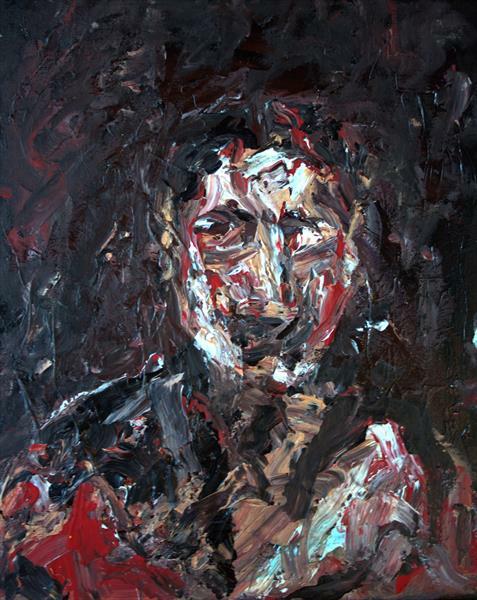 And, Marc Riley paints both abstract and non-abstract portraits that can be quite haunting and dramatic. They would make great standout pieces in a living room or study. 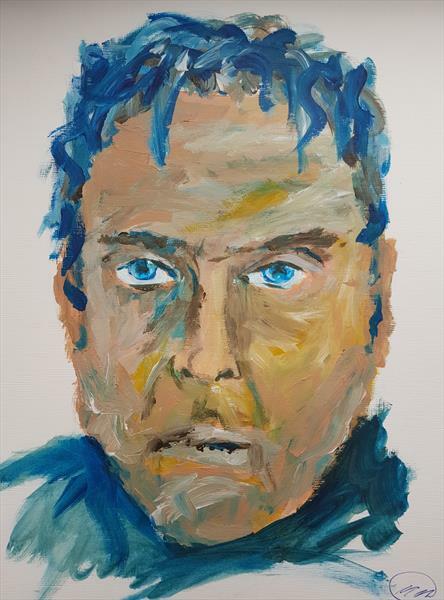 The list of artists could go on as there are many more on our site, but these give you a flavour of how exciting and interesting a portrait can be. There’s so much more to this style than just a face.